Dream Maker Racing is committed to all racehorses enjoying a safe, healthy, and fulfilling post-racing retirement. Most of us who race horses get attached to them and don’t think of horses as simply a trade-able commodity. Our horses become part of our family and part of the Dream Maker Racing heritage. Often given cute nicknames, we follow their racing careers and celebrate their accomplishments. 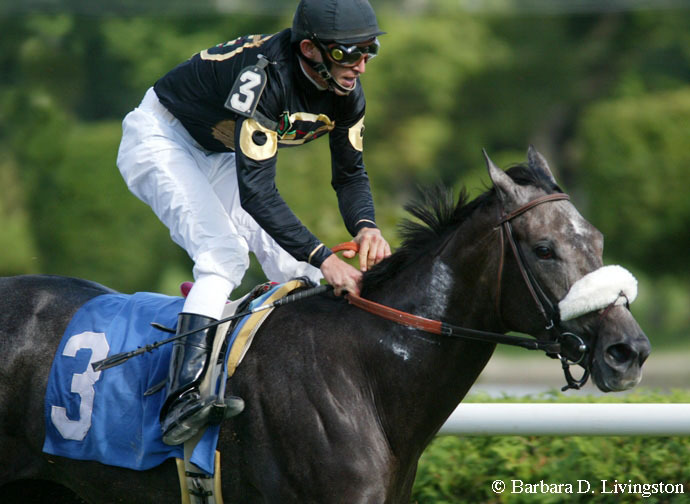 Under the direction of Tom Gallo, DMR supports several advocacy and retirement organizations such as ReRun and the Thoroughbred Retirement Fund, who are dedicated to facilitating a safe and dignified retirement for all thoroughbreds no longer being used for racing or breeding purposes. These organizations have raised millions of dollars for and immeasurable awareness about treatment of our industry’s animals in retirement. Jet Pass: Retired to a member' farm in Upstate New York where he spends his days eating grass and frolicking with his barn mates. Donated to the Thoroughbred Retirement Fun where he is cared for at the Wallkill Facility as a part of the Second Chances program for inmates. Sold to Tom Gallo and became a broodmare residing at Blue Stone Farm. Retired to Mayland where he is in training to become a hunter jumper. Retired to the Thoroughbred Reitrement Founation's Blackburn facility in Kentucky. Retired to Second Stride; a not for profit organization for Retired Thoroughbred Race Horses in Crestwood, Kentucky.